Steve Rose of Potomac, Md., a 1969 graduate of Truman State University, has made a lead gift of $100,000 toward a special fund raising initiative to name the main performing facility in Ophelia Parrish in honor of retired faculty member James G. Severns. Truman’s Office of Advancement, guided by the James G. Severns Theatre Committee, is embarking upon a $300,000 campaign to attain naming rights to the facility as per Foundation policy. Resources from the project will be directed to an endowment, and annual earnings will be used for equipment, technology enhancement, refurbishment, and ongoing maintenance of the theatre. The James G. Severns Theatre, renovated in 2000, features a maximum seating capacity of 243 seats and is host to numerous plays and performances. The facility includes 132 permanent seats on the main level, 46 permanent seats on the balcony level, and 65 flexible seats. 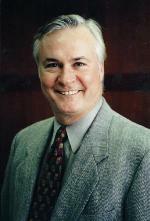 Severns began his career at Truman in 1959 and served as professor of dramatics, director of the College Players and chairperson of the theatre department for 32 years. He retired from the University in 1991 and was granted the status of professor emeritus of dramatics. He and his wife, Patricia (Harris ’66) reside in Chicago. Rose operates a busy State Farm Insurance Agency in Rockville, Md. He has served as a member of the Truman State University Foundation Board of Directors, is a member of the Mid-Atlantic Alumni Chapter and is frequent participant at campus events. As a student, Rose participated in more than a dozen campus performances under Severns. He is a member of the Screen Actors Guild and has appeared in several motion pictures, on television, and commercials. Several of Truman’s United Way campaign group leaders stand by Truman’s progress sign at the recent victory celebration in the Student Union Building Governors Room (pictured sitting, left to right) Donna Bailey, Rachel See, Matthew Tornatore, Mary Jane Kohlenberg, David Conner, Gene Schneider and Traci Hill; (standing, left to right) University President Barbara Dixon, Sandra Fleak, Stephanie Sullivan, United Way of Adair County Executive Director Nancy Pennington, Betty Floyd, Martha Bartter, Pam Gardner, Marianna Giovannini and Marilyn Gibbons; (back row standing, left to right) Glen Giboney, Todd Kuhns, Jeremy Houser, Tom Johnson and Lesa Ketterlinus. Truman State University surpassed the fund-raising goal of $52,000 for the United Way. 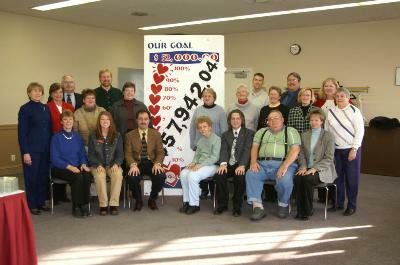 Truman’s total collection amount was $57,942.04. The United Way of Adair County assists 13 agencies, including the Adair County Family YMCA, Hospice 2000 and the Salvation Army. 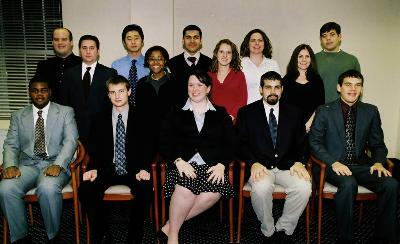 Pictured are interns (seated, left to right) David Bonner, Nick Hart, Sarah Devlin, Zachary Monroe and Kevin Jolly; (standing, left to right) Rory Roundtree, Courtney Rakers, Maggie Wolcott and Brianna Lennon; (back row, left to right) Michael Powell, Kyung Woo Kim, Parviz Jabarov, Helen Russell and Ryan Hart. Cindy Thomas is not pictured. Fifteen Truman State University students will begin legislative internships at the Missouri State Capitol in Jefferson City next semester as part of the Missouri Government Internship program. The internship provides an inside look at state government. While in Jefferson City, the interns will be assigned to public officials based on compatibility and interests. The interns work with their legislator and his/her staff on a variety of jobs and tasks. The Truman interns will begin working with state representatives, legislators and in statewide offices with the start of the session Jan. 4. The spring interns are David Bonner, a senior political science major from Matteson, Ill.; Sarah Devlin, a senior political science major from Barnhart, Mo. ; Nicholas Hart, a senior political science major from Peculiar, Mo. ; Ryan Hart, a sophomore political science and history double major from Jefferson City, Mo. ; Parviz Jabarov, a senior business administration and political science double major from Dushanbe, Tajikstan; Kevin Jolly, a sophomore political science major from Sully, Iowa; Kyung Woo Kim, a junior economics major from Korea; Brianna Lennon, a junior political science major from Ballwin, Mo. ; Zachary Monroe, a junior political science and business administration double major from Hawk Point, Mo. ; Michael Powell, a junior political science major from Independence, Mo. ; Courtney Rakers, a senior communication major from Imperial, Mo. ; Rory Roundtree, a senior political science and justice systems double major from Parks, Neb. ; Helen Russell, a senior political science and history double major from Kansas City, Mo. ; Cindy Thomas, a junior political science major from Jefferson City, Mo. ; and Maggie Wolcott, a senior communication major from Smithville, Mo. On April 20 Truman will hold its 19th annual Student Research Conference. The Conference will be a University-wide celebration of student research, scholarship, and creative achievement. Students from all academic disciplines and divisions are invited and encouraged to present their scholarly or creative work. The formal Call for Abstracts will be posted on the Conference Web site in December and distributed across campus in January 2006. Submission of abstracts is required for all presentations and should be carried out online at http://src.truman.edu. A copy of the information submitted will be sent electronically to the student presenter’s faculty mentor for approval. The submission site will open in January 2006, and the deadline for receiving abstracts is Feb. 22. In addition to the many student presentations, the day will feature a conference-wide plenary address delivered by Naomi Shihab Nye, nationally acclaimed poet and essayist. Scheduled classes will not formally meet during the day of the Conference, thereby providing the opportunity for all students and faculty members to attend and fully participate. The Next STEP program is now accepting applications for its 2006 Summer Undergraduate Research Experience. In it’s second year, the program is looking for 15-20 students majoring in any science or mathematics and computer science field who are interested in spending the summer doing research. Participants will receive a $3,200 stipend, housing and meals on campus, three credit hours of research, funds for supplies, and funding to travel to a conference to present their work. Opportunities are available both on Truman’s campus as well as a variety of research institutions and industries throughout Missouri. A list of mentors, projects, and partner institutions is available on the program Web site. Applications are due Feb. 1 and can be completed online at http://step.truman.edu. Last summer 20 undergraduate students who were selected through a competitive application process worked full-time for 10 weeks on a research project with one to two faculty mentors and attended weekly seminars on themes that support professional and academic development. The students, from around Missouri and the nation, spent 10 weeks living on campus and performing full-time scholarly scientific and mathematical research. Selected for their talent and potential to become a professional scientist or mathematician, the students were enrolled at Truman State University, Moberly Area Community College, and Metropolitan Community Colleges (Penn Valley Campus). Students worked directly with their research mentor(s) to design, perform and interpret their research. The summer program culminated with a research symposium on Aug. 3 and Aug. 4 where students presented their work to one another and to the community. The Next STEP is an innovative program designed to enrich the undergraduate curriculum through meaningful student/faculty interactions. By promoting cultural and curriculum change, The Next STEP is working to increase the number of students who complete a baccalaureate degree in science, technology, engineering and mathematics disciplines and better prepare them for the future that lies ahead. The Next STEP is a collaborative effort between Truman and three Missouri community colleges: Metropolitan Community Colleges, Moberly Area Community College and St. Charles Community College. This program is made possible through a generous $2 million grant from the National Science Foundation’s Science, Technology, Engineering and Mathematics Talent Expansion Program. For more information about Truman’s The Next STEP program, see the program’s Web site at http://step.truman.edu. Fifty-five Truman students will be recognized in the 2005-2006 edition of “Who’s Who Among Students in American Universities and Colleges” for their academic achievement, character, leadership and service. The students will be recognized for their achievements at a luncheon from noon to 1:30 p.m., Feb. 25, in the Student Union Building Quiet Lounge. The following students will be recognized: Jennifer Anderson, Jose Andrade Reyes, Ilana Barash, Adam Bezinovich, Christine Black, Phillip Campbell, David Chappell, Sarah Charnes, Catherine Clark, Scott Dresser, Tomoyuki Ekuni, Nina Ellis-Hervey, Angela Farabee, Renessa Foronda, Kimberly Getman, Katie Gilbert, Christopher Gillette, Renee Gordon, Brandon Gordon, Laura Hamilton, Nicholas Hart, Keisha Hatcher, Candice Hoskins, Sucheta Jawalkar, Ashley Jay, Lindsay Justin, Laura Keck, Mark Kerkhoff, Ju-hyung Kim, Rachel King, Marcia Kottemann, Emily Lucas, Carrie Miller, Samuel Murphey, Lukin Murphy, Dung Nguyen, Laura Nguyen, Olga Nikolova, Ebubechukwu Nwazota, Carol Perry, Michael Pierson, Kristin Prange, John Romine, Rachel See, Kathryn Smith, Abbie Smith, Angela Soemo, Olumuyiwa Sowunmi, Matthew Tingler, Tammy Tolliver, Robert Tylka, Alan Venneman, Lindsay Weitkamp, Melissa Wells and Tyler Wood. The Talbots Charitable Foundation has scholarship opportunities available to women who are currently residing in the United States, earned a high school diploma or GED on or before September 1996, enrolled or planning to enroll in a full or part-time undergraduate course of study at an accredited two or four-year college, university, or vocational-technical school, be attending the full 2006-2007 academic year and receiving a degree no earlier than May 2007, and have at least two semesters (minimum 24 credit hours) remaining to complete their undergraduate degree as of the beginning of the 2006-2007 academic year. Applications are available in all Talbots U.S. stores, as well as through their Web site at http://www.talbots.com/about/scholar/scholar.asp. Deadline is Jan. 3 or until the first 1,000 eligible applications have been received, whichever occurs first. George Mehaffy, vice president for academic leadership and change at the American Association of State Colleges and Universities, will deliver the commencement address. • System malfunctions: During normal working hours, report space temperatures outside of 68F-72F to Physical Plant. First check the thermostat setting, if accessible. • On staff holidays, expect space temperatures to be reduced in buildings with modern systems (Magruder Hall, Ophelia Parrish, Violette Hall). Dates: Dec. 22-27, Dec. 31-Jan. 2. • Exterior doors and windows: Keep them closed as much as possible. Report malfunctions to Physical Plant. If window coverings are present, close them in the evening and on cloudy days, and open them on sunny days. • Convective heaters (radiators): make sure air flow to and from them is not blocked. • Space heaters: For safety’s and conservation’s sake, always turn space heaters off when leaving them unattended. Space heaters without tip-over switches are not allowed. Consider warm stockings instead of a space heater if only your feet or legs get cold. • Thermostats: If accessible, set them to a lower temperature (60F) during unoccupied periods. Also, communicate and compromise with your co-workers: one thermostat often affects several people. • Dress in layers (sweaters work well), especially if you prefer to be warmer than your co-workers. • Automatic door openers are great for people who need them. By opening two doors at one time a great amount of heat and air conditioning are lost. They will work one at a time manually reducing the amount of heat or cooling air. Or just pull or push open the door next to the automatic. Dec. 13-14 - 9 a.m.-11 p.m.
Dec. 15-16 - 9 a.m.-7 p.m.
Dec. 19-21 - 11 a.m.-2 p.m.
Dec. 28-30 - 11 a.m.-2 p.m.
Dec. 13-15 - 7 a.m.-2 a.m.
Dec. 16 - 7 a.m.-6 p.m.
Dec. 17 - 10 a.m.-2 p.m.
Dec. 19-21 - 8 a.m.-5 p.m.
Dec. 28-30 - 8 a.m.-5 p.m. Degrees for all December graduates will be posted to transcripts by 5 p.m. on Dec. 30. Students may verify their degree by logging into TruView and viewing their transcript. Please note the Recycling Center and drop-off containers will be closed Dec. 22-Jan. 2 due to the holiday break. This is the final issue of Truman Today for the fall semester. The next issue will be published Jan. 17. John Ishiyama, professor of political science, and John J. Quinn, associate professor of political science, had their article “African Phoenix? Explaining the Electoral Performance of the Formerly Dominant Parties in Africa” accepted for publication in the journal Party Politics. Ishiyama’s article “The Former Marxist Leninist Parties in Africa After the End of the Cold War” also appeared in the most recent issue of the journal Acta Politica (Vol. 40: pp.459-479). David McKamie, professor of music, has been appointed to the Board of Directors for the National Guild of Piano Teachers (NGPT). The NGPT is the largest nonprofit organization of piano teachers and students in the world. He also served recently as adjudicator for the Music Teachers National Association piano competition held in Iowa. The Student Senate Leadership Excellence Award Selection Committee has selected two recipients. Two $500 awards have been awarded to Justine Finney-Guyer, a junior communication major from Purdin, Mo., and Abbie Smith, a senior exercise science major from Urbandale, Iowa. The recipients were honored at the Student Senate meeting Dec. 4. Students who are interested in securing off-campus housing for next year may find helpful information at http://saffairs.truman.edu/rentals/index.htm. Students may also pick up a Rental Housing Guide from the Student Senate Office, lower level of the Student Union Building. The Center for Student Involvement (CSI) has updated their policies for posting on campus. These policies are available at the CSI, lower level of the Student Union Building. The Kirksville area schools are in need of volunteer readers for the Martin Luther King Jr. Read-In events Jan. 19 and Jan. 20. Volunteers may sign up at the Center for Student Involvement during finals week and the holiday break. Contact Amy Currier at 785.4222 for more information. 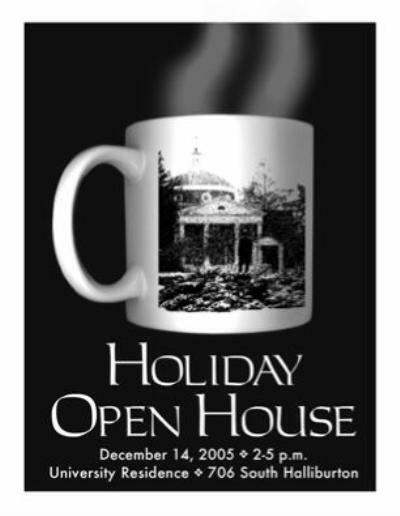 The Military Science Division cordially invites faculty and staff to attend their Open House from 11 a.m.-2 p.m., Dec. 14, in Baldwin Hall 156. For more information, contact Doug Reinsch or Carmen Barnes at 785.4451. The Center for Teaching and Learning Weekly Lunch Series will continue from 12:30-1:30 p.m., Dec. 14, in the Center for Teaching and Learning offices, Pickler Memorial Library 204 and 205. There will be a table fellowship and discussion of “The Best Thing I Did All Semester.” Call 785.4391 for more information. Diversity Institute Fellow Stephen Hadwiger is bringing a free medical Spanish interpreters class to Truman the week of Jan. 9-13. This is an intensive 8 a.m.-5 p.m. course sponsored by Missouri Foundation for Health through the agency of Jewish Vocational Services. Spaces are limited, so contact shadwige@truman.edu for an application immediately. The annual Unity Luncheon will be at noon, Jan. 18, in the SUB Georgian Room. Cost is $7.50 per person. There will be a special presentation by Missouri performer/folklorist Gladys Coggswell. She will dramatize her perspective of the Civil Rights Movement. R.S.V.P. needed by Jan. 17 by calling 785.4016.